How can we build an inclusive movement towards more biking and walking in our cities? Photo by Elvert Barnes. The National Center for Bicycling and Walking (NCBW) is now accepting proposals to present at the 17th Pro Walk/Pro Bike® conference in Long Beach, Calif. on September 10-13, 2012. Established in 1980, the Pro Walk/Pro Bike® conference is a North American event promoting the work of pedestrian and bicycle professionals. It is an opportunity to present professional work on alternative and sustainable modes of transportation while learning from peers in the discipline of planning, engineering, state and local government, public health, advocacy and public policy. The three-day conference features 1,000 participants and a mix of breakout sessions, interactive poster exhibits, mobile workshops, and plenary speakers of national and international stature. NCBW is a resident program at Project for Public Spaces. Both organizations collaborate on the Pro Walk/Pro Bike® conference. Invest + Govern. Considers the many ways that investments in ped/bike infrastructure and programs pay dividends to the individual and community. Advocate + Include. Considers two questions: how advocacy can build a more inclusive movement; and how ped/bike/transportation professionals can best engage and serve all populations. Design + Engineer. 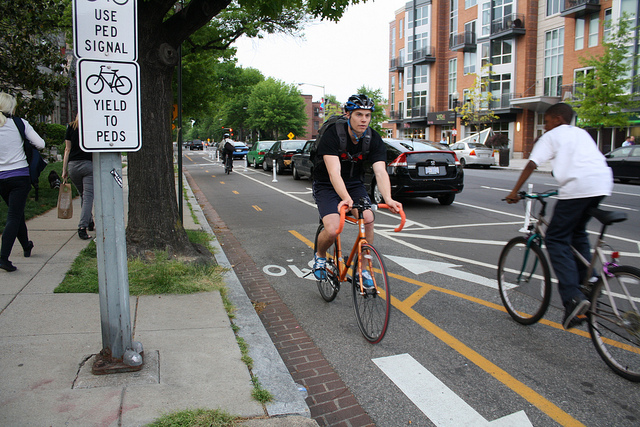 Explores best practices for meeting the needs of pedestrians and bicyclists. Features the latest design standards/manuals, while offering practical guidance on finding flexibility within existing design standards. Healthy + Safe. Explores ways to improve health and quality-of-life by making walking and biking trips convenient, pleasant, and safe. We encourage proposals from those working with low income/low resource communities. Plan + Connect. Explores innovative work connecting all modes–walking, biking, transit, bike share, and car share–through better planning, collaboration, and use of technology. Includes best practices in ped/bike planning. SRTS + Beyond. Explores programs that grant youth mobility and independence by improving walking and biking routes to school, and to other community destinations. Covers K-12. For a more thorough description of each focus area, information on presentation formats or to submit your proposal, click here. The deadline for proposals is February 1, 2012 at 8:00 p.m. EST. If you have more questions, contact Conference Director Mark Plotz at mark@bikewalk.org.